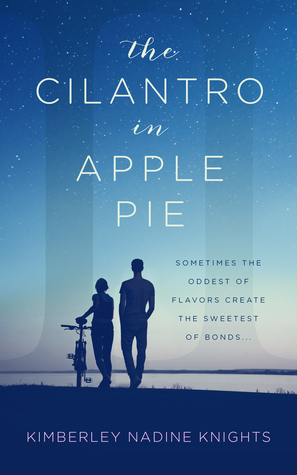 “The Cilantro in Apple Pie” is her debut novel. The Cilantro in Apple Pie is a trilogy so I’m working on the sequels. I really found myself loving all the parts that involved Gil – specifically the pool scene. Sometimes contrasting flavors are the best. (sweet & sour chicken, salt and chocolate etc.) Rubie and Gil are so different (as different as apple pie and cilantro) but they somehow mesh well together. My toughest criticism was that my writing is amateur at best. I was bummed out for a few hours but then later that day a reviewer said my writing was better than some of the more established authors out there. What can I say…excellence is in the eye of the reader. I wrote my first book when I was 10. It was about a sleepover party. Initially they didn’t think much of it – they thought I was just overly engrossed in a hobby. But now that it’s making some waves they’re supper supportive. My readers on Twitter are very active! Big shout-out to Team #AuthorChestBump! To purchase The Cilantro in Apple Pie make sure to visit Amazon, Barnes and Noble, Goodreads, and Kimberley Nadine Knights’ website. (Excerpt from Goodreads) Zoey is a journalism student. She meets an older man called Peter at the bar who claims to be a journalist. When Peter offers to help her get a story in the local newspaper, Zoey jumps at the chance. Zoey is 21 years old, Peter is 65. After they exchange phone numbers, Peter is enthusiastic to spend time with her. They start meeting up for drinks to discuss her path as a writer. But that’s when Zoey starts to question their budding relationship. She’s keen to further her career, and initially saw Peter as the perfect opportunity. But is he? With a quick touch here and a cheeky peck there, how does Peter really feel about Zoey? Is she being paranoid, irrational maybe? Is Peter the helpful fellow writer he seems to be, or is there something more sinister lurking beneath his seemingly good intentions? Zoey is out celebrating with friends when she meets Peter in the pub. He buys her a drink and seems friendly enough but there is something about him that creeps Zoey out. After a couple chance encounters, Peter tells Zoey that he could help out her journalism career. Zoey is excited but the more she is around Peter the more she is unnerved. But if he could help her career there is nothing to worry about, right? This is a great short story. It is a classic case of a stalker. Zoey gets the creeps from Peter but she doesn’t listen to her feelings. I take Krav Maga classes and this is one of the first things that you are taught in self defense, listen to that little voice inside telling you something. I loved the ending! This is a great thriller and left me wanting other stories from Karly Edwards. This is one short story that I recommend everyone checking out. To purchase The Stalker make sure to visit Amazon, Barnes and Noble, and Goodreads. 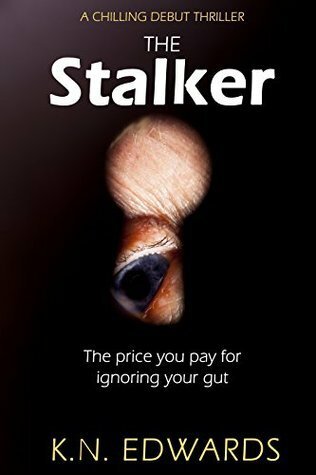 I received The Stalker for free from the author in exchange for an honest review. Victoria has had a rough go with life after her parents died in a car accident. She also has been the odd person out with bullying at school. But when she turns 17, Tori is giving a music box, a book, an amulet, and learns that she is a very powerful witch. The problem is that through her veins runs a darkness, a murderous rage that she calls Cruentus Curse. Then she meets Christian. Christian is a vampire that is trying to control his fangs. They have fallen for each other but of course vampires and witches are at war. Tori has just joined the paranormal world but with her powers she is now a target. People are going to hunt her, friends will abandon her, and others will stand up to help her. Christian has been part of this world for awhile and wants to protect Tori. But Tori is no wilting flower; she has the abilities to stand on her own, if she can find some way to control the curse. This story is rich with realistic characters. Tori and Christian both have great powers and no matter how hard they try, the power takes over and people die. All they can do is pick up the pieces and try again. My only complaint was Tori and Christian both drove me up the wall with their hot/cold relationship. One moment they just have to be together then the next they want to kill each other. It got to be a bit much. Beyond that I loved how this story is centered around the dark witches and vampires. There is no sparkle and there is no Glenda the good witch. This is a great, killer story. I loved the fight scenes. There were plenty with lots of action. This is a good story and one that I recommend you check out if you like fantasy paranormal stories. 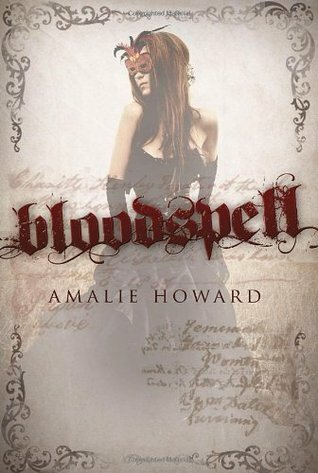 To purchase Bloodspell make sure to visit Amazon, Barnes and Noble, Goodreads, and Amalie Howard’s website. 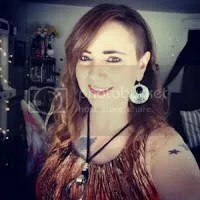 I received Bloodspell for free from Charlie Roger in exchange for an honest review. 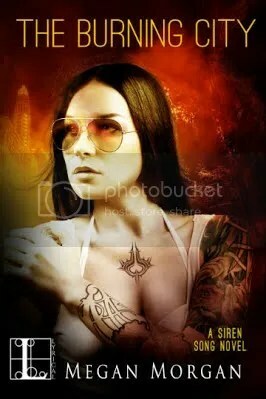 (Excerpt from Goodreads) All magic has its price, and no one knows that better than Victoria Warrick. Gifted with a centuries-old blood curse, Tori has finally learned to master her blood’s demands and has emerged triumphant with Christian Devereux, a vampire overlord, at her side. Tori is starting to get a handle on her blood curse and both Christian and her seem to be the perfect couple. Tori wants to learn more about the blood curse and how to control her powers but must make a big decision. If she is to proceed she has to give up her relationship with Christian. But attending Belles Fontaines is not going to be as clear cut as she thinks as many people want her powers or her death. She is going to have to fight to find her place in this world. Then there is Christian. He loves Tori so much and couldn’t care less about social norms. But he will feel the sting and hurt from the witches that expect Tori to take her place. But this is not the only thing he has to contend with. Lucien, Christian’s brother shows up and proves what an evil villain he can be. Christian also learns more about his maker. This is a great story. You can just feel the love that Tori and Christian have for each other. It was so hard to watch what Christian went through and how Tori hurt him. Then there is Lucien, what an evil, selfish jerk. He is a villain that you can’t help but like even to the end. There are great fight scenes and lots of romance in Bloodcraft. And the ending is just perfect. I do recommend reading Bloodspell so you can get some more background with Tori and Christian’s relationship. But you can easily read Bloodcraft and not be lost. 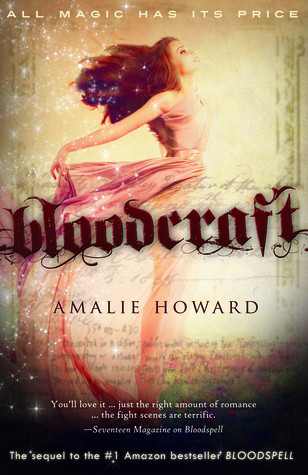 To purchase Bloodcraft make sure to visit Amazon, Barnes and Noble, Goodreads, and Amalie Howard’s website. I received Bloodcraft for free from Roger Charlie in exchange for an honest review. Tonight at 8:00 pm Eastern, join James Dashner discussing The Maze Runner. Make sure to be part of the discussion here. Then get ready to start book two The Scorch Trials. 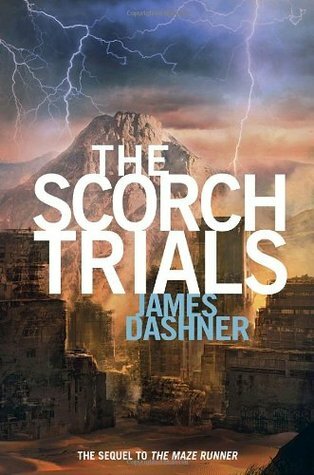 Check out Amazon, Barnes and Noble, and Goodreads to purchase The Scorch Trials. (Excerpt from Goodreads) Valerie Torrey took her son Alex and fled Los Angeles six years ago—leaving both her role on a cult sci-fi TV show and her costar husband after a tragedy blew their small family apart. Now Val must reunite nine-year-old Alex with his estranged father, so they set out on a road trip from New York, Val making appearances at comic book conventions along the way. This story revolves around Valerie Torrey and her son. Val was part of the television show Anomaly. She fell in love with her co-star in real life along with on the show resulting in her pregnancy. But something happened and she left the show and moved to the other side of the county with Alex. Now, nine years later, she has been asked to be part of a series of comic-cons. She has decided that it is time that Alex meets his father so he goes on a trip from Chicago to LA. This in itself sounds like a great story but there is so much more. You will meet artists that are fighting to make their place in a world of commercialized heroes. Women that are looked on as objects to be seen and not for their work or contribution. And most of all reality vs. the fictional worlds. All of this goes into the stories that Alex makes through the different comic-cons. I admit that I always just though comic-cons were an odd assortment of gamer geeks or strange guys living in their mothers basements. But after I attended on I learned that there are so much more happening. This book covers a lot of what I saw, mainly people trying to stand out and make their mark on the world. Just for this part I fell in love with A Hundred Thousand Worlds. But you also have the story of Alex who only knows about his father from the television. I loved watching him grow on the trip. And the ending, it’s perfect but a definite tear jerker. You don’t have to be a comic-con fan or anything remotely case to enjoy this book. Just following along with Alex really makes this book. This is a must read. To purchase A Hundred Thousand Worlds make sure to visit Amazon, Barnes and Noble, and Goodreads. 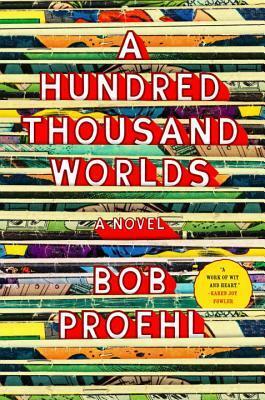 I received A Hundred Thousand Worlds for free from the publisher and Netgalley in exchange for an honest review. HJ Lawson is an English author who currently resides in New York. When she’s not writing, she spends her watching movies and hanging out with her family. 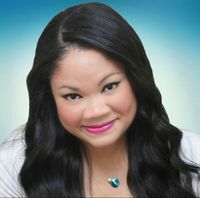 She is the author of the following young adult books: The War Kids Series and The Sanction Series. Parker is the typical outcast in high school. He finds himself the target of the jock Travis and pining for Travis’ girlfriend doesn’t help matters. He also has a hard home life. His mother has become bitter after the loss of Parker’s father and his step father is abusive. But one night when he goes to sleep he wakes up in Tokyo. He thinks he is dreaming although Scarlet insists that he is a time traveler and he has a job to do. It is up to Parker and Scarlet to save a little girl. You can’t help but feel bad for Parker. He just seems to stand out enough in life to be everyone’s punching bag. But he is a good kid that suddenly finds himself in Tokyo being told he is a time traveler and is supposed to save a little girl. I don’t blame him for asking 101 questions, I would be doing the same thing. But he does get going and with the help of Scarlet saves Tora. This is a great story with lots of actions and fantastic characters. I really liked how the paradox of trying to save his father comes into play. I easily got sucked into this story and couldn’t wait to see how it ended. Of course, cliff hanger which means I can’t wait for the second book. 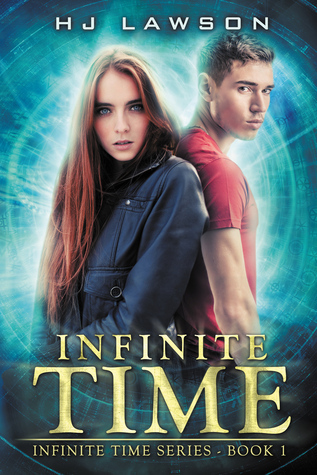 To purchase Infinite Time make sure to visit Amazon and Goodreads. I received Infinite Time for free from Reading Addiction Virtual Book Tours in exchange for an honest review. Sign up for the chance to win a $20 Gift Card.